With a background in dance and music and as a professional artist and horse trainer/teacher – I enjoy teaching people who are drawn to the arts and horse lovers. My art profession and horse-human education profession have profoundly expanded by infusing the practice of Nia. This is what I love to share! My Nia classes are athletic, energizing, and fun with a warm community to welcome you at three beautiful locations, The Blue Heron Ranch studio, Sammamish Community YMCA and Bellevue Family YMCA. I teach both classic Nia and Nia FreeDance. March 9, April 6, April 27, May 11. Go to my home page and click the sign-up links for each of these fun and beneficial PlayShops to Join us! Nia is a mindful dance fitness practice that not only conditions your body in remarkable ways, but also conditions your mind with the creative use of music and movement. Discover Nia, a movement art that will elevate your movement skill by increasing flexibility, mobility, agility, stability and strength. Nia’s unique movement style is founded in 35 years of program development, focusing on aspects of martial arts, dance arts, and healing arts. Nia truly delivers a holistic experience that touches you; body, mind and spirit. 1. Setting the focus/intent: We focus on one aspect of the practice, it is woven artfully throughout the practice with a desired intent. This is set by the teacher. 6. FloorPlay: Using the floor, we play and condition our body using gravity, space, and the art of moving on the floor to become strong, stretched, defined and balanced. What is a Nia FreeDance Class? A Nia FreeDance class experience is a barefoot 60-minute conscious dance class designed to awaken the movement artist within; to stimulate an individual's art of movement creativity. Guided by a certified and trained Nia FreeDance Teacher, participants explore their own movement and dance, in their own way, in their own time. Participants dance to soul-stirring music, eclectic sonic landscapes that provide cellular resonance to evoke self-expression, and unleash movement creativity. Join us and allow yourself to be guided, to explore movement your way and in your own time. Dance to soul-stirring music, eclectic sonic landscapes that provide cellular resonance to evoke your self-expression, and unleash your movement creativity. The four parts of Nia FreeDance explore the integration of body, emotion, mind and spirit through a unique focus for each Nia FreeDance experience. This class is open to all levels. No previous experience necessary. What is a Nia Moving To Heal Class? Nia Moving to Heal class experience supports people looking for a gentle approach to Nia and/or for those dealing with a wide range of therapeutic issues and compromised movement ability. (may include healing from injury, trauma, grief, short-term to long-term illness, etc.). Enjoy a slower approach and personalize your movement to fit your body’s way while focusing on feeling better. Improve feelings of wellness regardless of physical condition. Beginners welcome! Chairs optional. Nia Moving to Heal classes offer anybody an opportunity to slow down, tune in and track the sensation of feeling better, move by move, breath by breath. What is a Nia Moving 52 Moves Class? 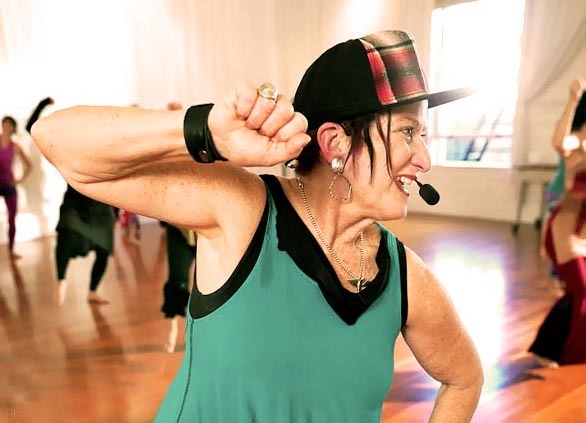 Nia 52 Moves Class experience is an energizing class that give the students one whole minute to practice each of the 52 Moves of Nia - the base moves, the core moves and the upper extremity moves. It's energizing, cardiovascular, fun, healing and conditioning since it and engages the whole body systemically through a variety of simple choreographic movements. Regularly practiced, Nia's 52 Moves enhances proprioception, perceptual motor skills represented in the sensations of flexibility, agility, mobility, stability and strength. It's a great class designed to learn, move and energize each move and bring them all into your dance.